Yesterday we blogged about a 25-year-old Casey Holladay, who is suing Royal Caribbean after suffering a serious injury while using one of the company’s rides aboard a cruise ship earlier this year. Holladay’s plight may be the result of cruise lines’ pushing the envelope when designing ship attractions. 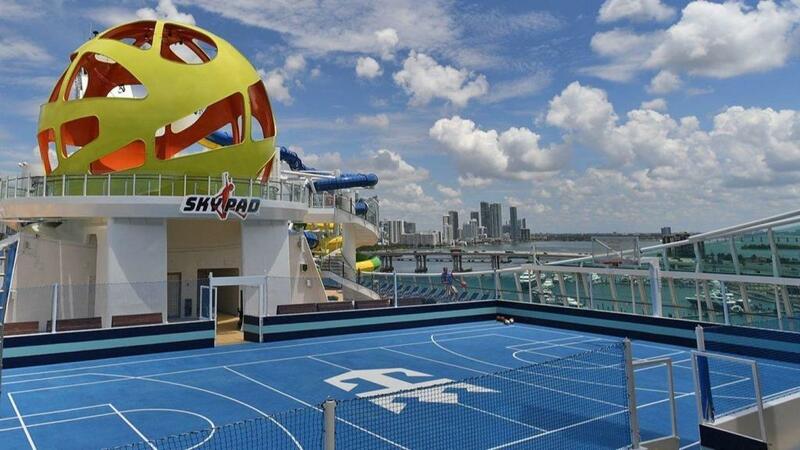 Cruise companies have equipped ships with rides such as enormous water slides, a go kart track, and even a roller coaster. The ride that injured Holladay, the SkyPad, is billed as a mix between a bungee and a trampoline. In the rush to attract passengers and one-up the competition, it seems that cruise companies are willing to take risks with passenger safety. Holladay was using the SkyPad when the ride’s safety mechanism failed, resulting in Holladay falling 20 feet to the deck below. According to a Sun Sentinel report on the incident, Holladay suffered a broken pelvis as a result of the accident. Holladay is suing Royal Caribbean for $10 million.